Do you remember this photo taken in the “before photos” of our Lake House Fixer Upper? 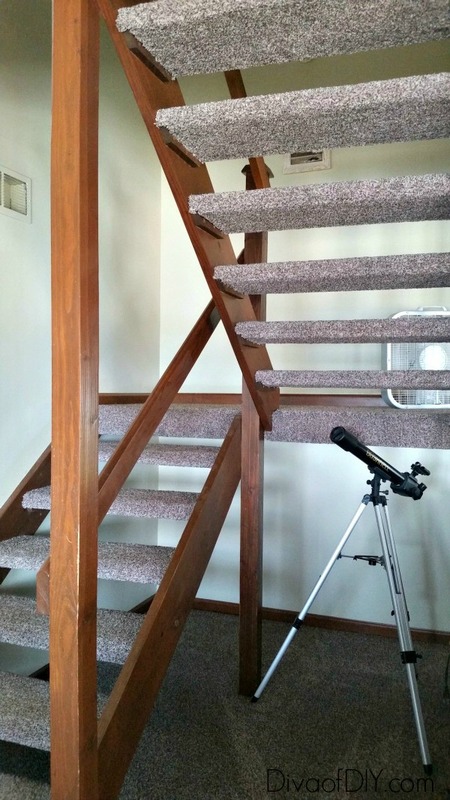 When I first saw these stairs I said it reminded me of a cat scratching post. Well, when we took up the carpet of course I saved it. Guess what I used some of that carpet for…. 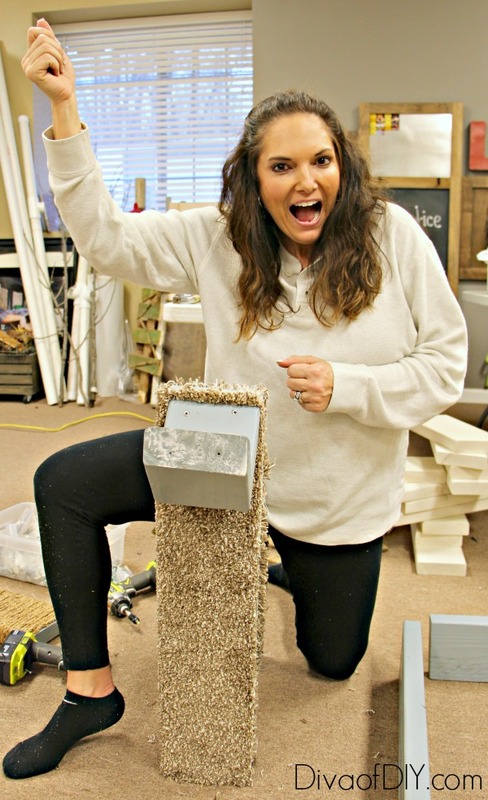 You guessed it (or maybe not)…a cat scratching post! Step 1) Cut 2×6 boards to the sizes in the sketch. Step 3) Spray paint both sides of the boards. Let dry. 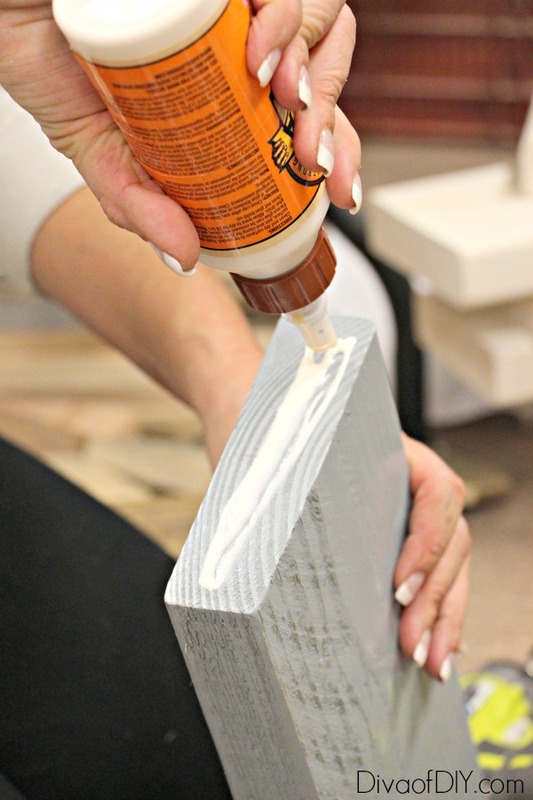 If you have never tried the Rust-Oleum’s Comfort Grip you are missing out! 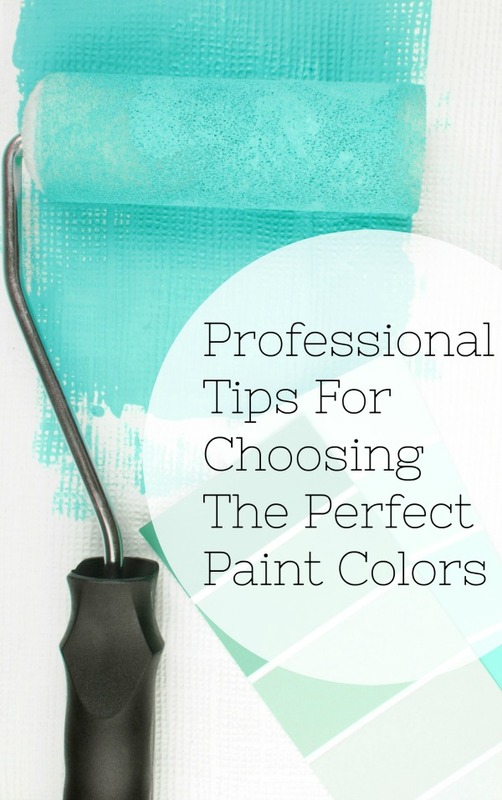 This is a great, inexpensive tool when painting several items! Step 4) Lay the boards out to spell the word MEOW as shown in the sketch. 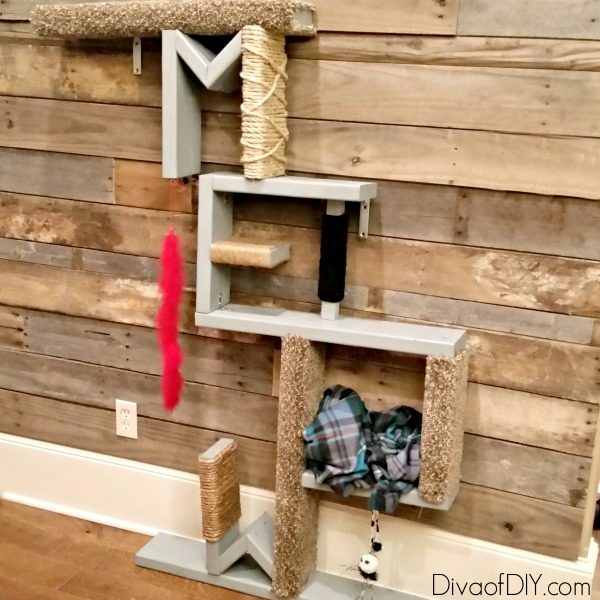 Decide what pieces you want to accessorize for the scratching post. DO NOT SCREW IT TOGETHER YET! 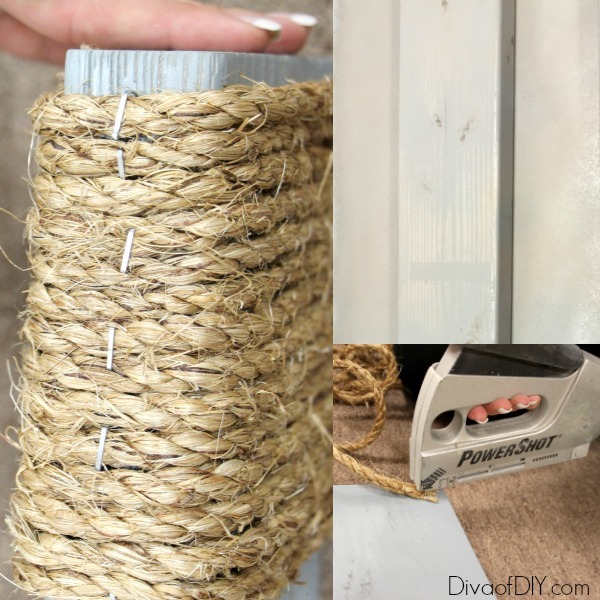 Step 5) Sisal rope accessory. Take the painted board and wrap it with rope. Staple the beginning and wrap until the board is covered, adding staples to the back side of the board as shown above. Step 6) Carpet accessory. Lay the board on the carpet to measure the length of the board. 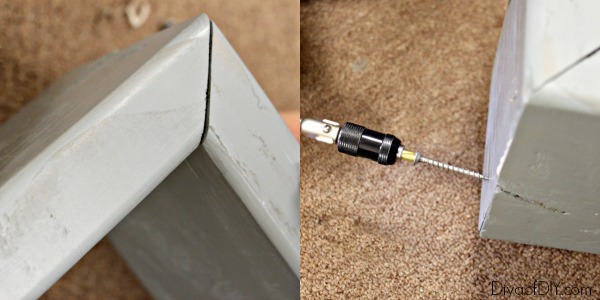 Cut the carpet on the top and bottom as shown in the above picture. 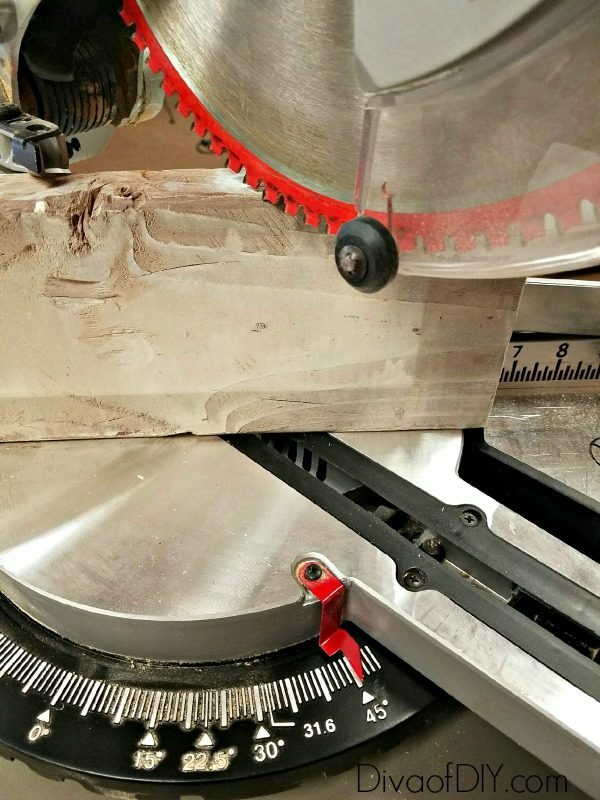 Then roll the board to cut the approximate length around the board. Step 7) Put liquid nail on both sides of the board. 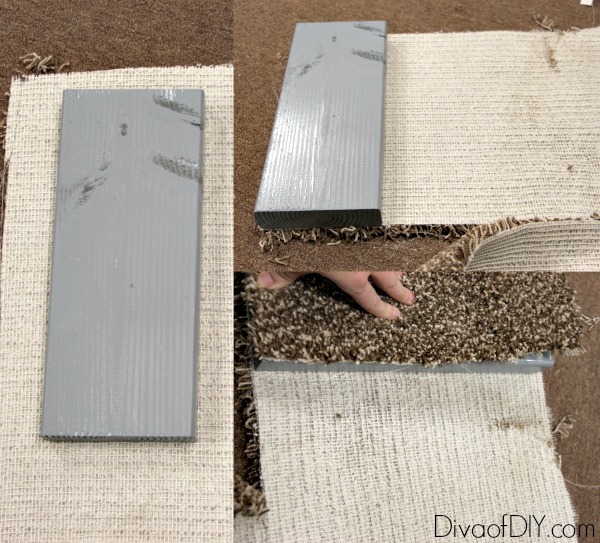 Wrap the carpet around the board and add staples to the back to secure. 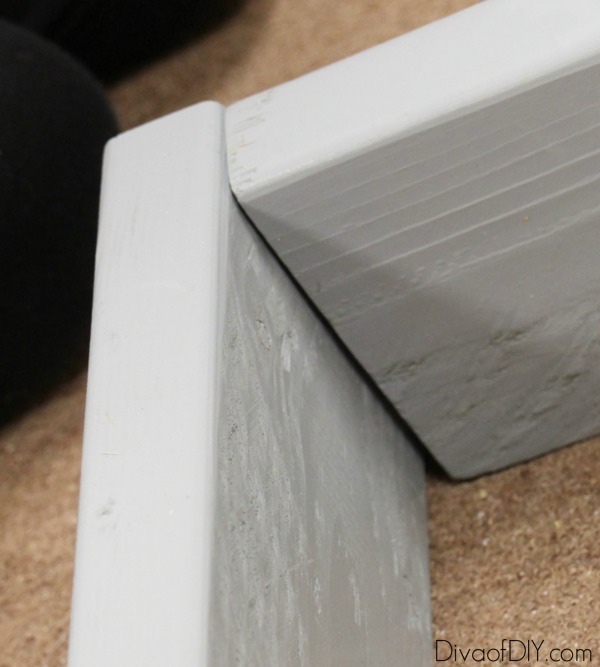 Using a carpet knife cut the carpet to size, leaving the back of the board open. Step 8) Lay the boards out to spell MEOW again and begin the assemble the boards with 2″ trim screws . 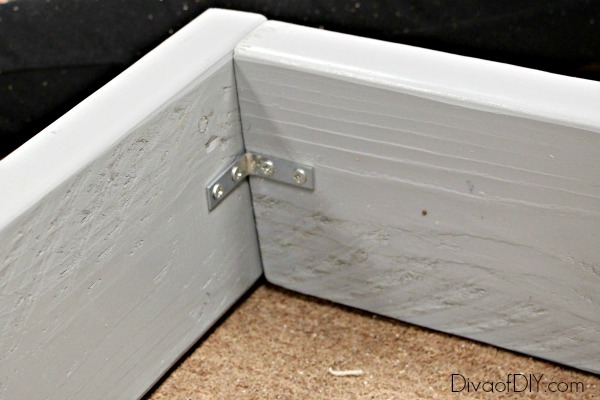 Diva Tip: Add wood glue to all the boards ends before you screw them together. This is always a good idea when attaching wood to wood. Step 9) Glue and screw together the W and M angles with 2″ screws. Step 10) Glue and screw the boards together starting at the top and working your way down. Step 11) Because this will have your kitty cats on it, add braces to the inside of the intersections where you feel they are needed. It’s better to add one when in question! Yes, that’s me being a dork and getting excited about my MEOW starting to take shape! Step 12) Add eye hooks to hang cat toys from. 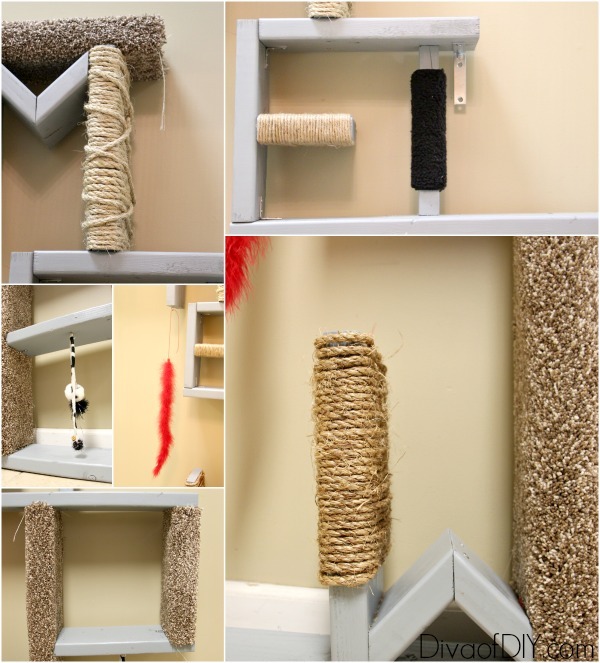 Here are some close-ups of the cat scratching post accessories. Step 13) Add wall brackets to the end of the top platform and the end of the E to attach it to the wall. 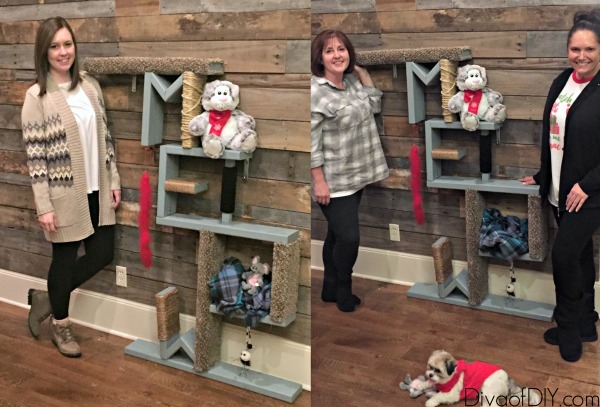 The makers of the MEOW cat scratch post (with Stella) and my crazy cat lady niece! It was the perfect Christmas gift. Meet Spaz and Mongo. 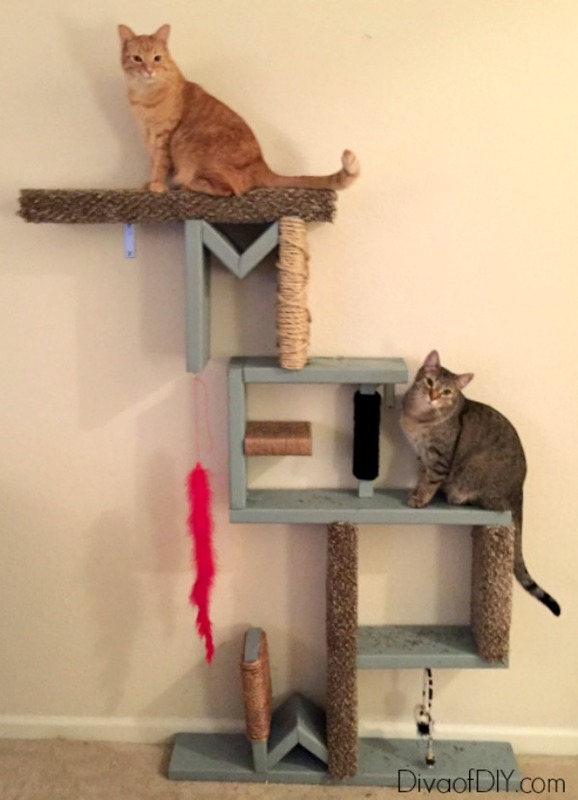 The DIY MEOW cat scratcher is cat approved! 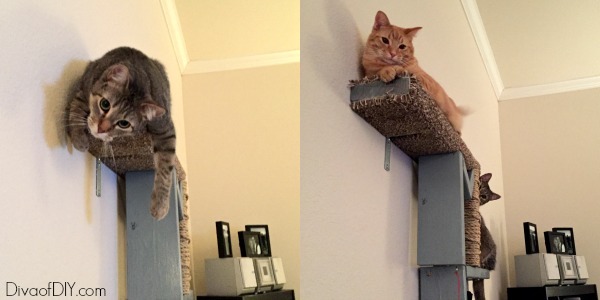 The cat scratching post was inspired by shelves I had been noticing on Pinterest. 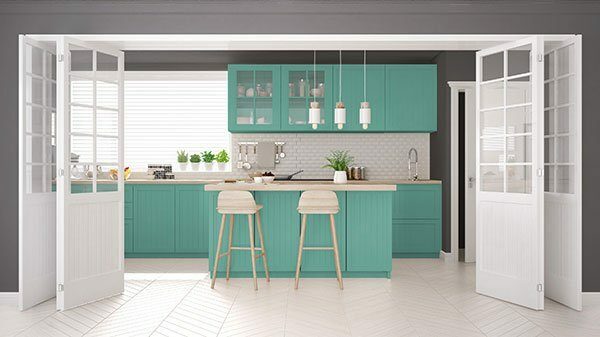 Here are shelving options we created. Oh wow this is so super cute. If I owned a cat, I'd make one for sure! Thanks Carolann! It was super fun to make and see my nieces reaction to her present! Looks like your cats are enjoying it alright! My problem is getting them to understand it's for them...LOL. Anyway, it looks so professionally done! 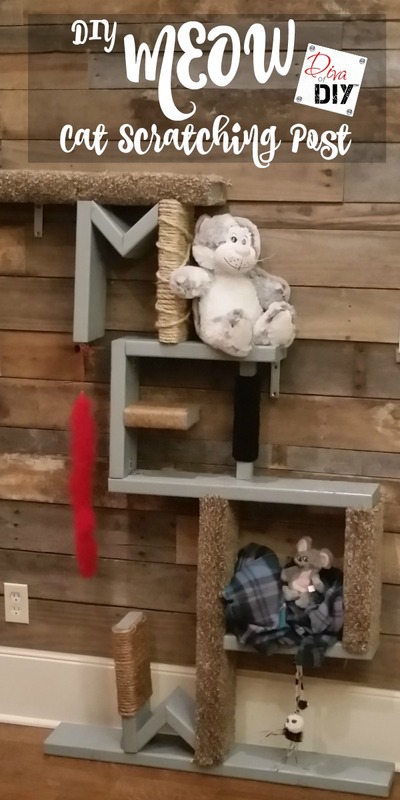 My son got a cat a few months ago and he 's been going crazy making things for the cat. I'll be sharing this with him. Awesome! I'd love to see it if he decides to make it! 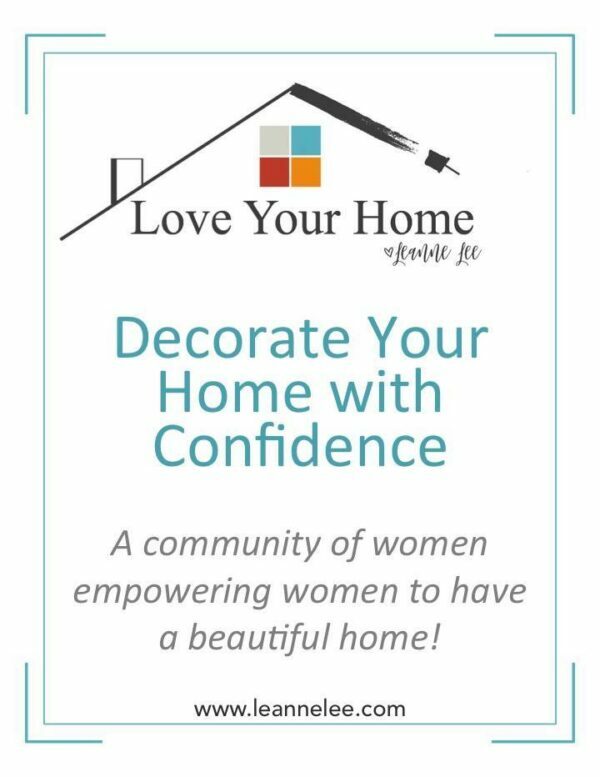 Please share a photo if you do! I hope they love it! Oh, my cheeky cat Lilly would love this for sure! And I would to as it would save my furniture! LOL! Great idea!!! Yes! Keep them busy so they will stay away from the furniture!